According to the U.S. Department of Labor, Quick Stats on Women Workers, 2010, roughly 59% of women in the United States are currently in the workforce, many of whom have children living at home. And the number of single‐parent homes is also increasing dramatically. If you are one of the many members of the workforce that is also the primary caretaker for a child, you know that balancing work and home responsibilities can be a real challenge! Before leaving your child home alone, make sure your child understands the safety rules for staying home alone. First, make sure your child can recite his/her phone number and address to a 911 operator if an emergency does occur. Also, write this information on the top of a list of important numbers of put it on a note by the phone. Include the numbers of family members, trusted neighbors and friends, and doctors on the list. Then, post the list near a telephone in an easily accessible place for your child to read. Teach your child what to do in the case of a fire by practicing a your home evacuation plan (think EDITH) with them. Also, check to make sure that all the smoke detectors have fresh batteries and are working. Periodically call to check on your child. It is also a good idea to have a child call you once they get home after school. This way you can be sure they have made it home safely. Oh, and remind them to lock the doors and never answer the door to anyone except family and well-known, and you can remind them to lock the door. 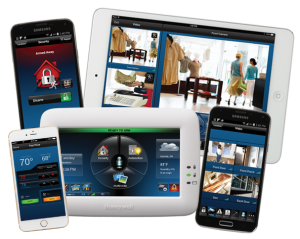 There are many electronic security products on the market that allow parents to view video of the home or get text messages when doors are opened or when the alarm is triggered. If you are at work or are unable to take phone calls while your child is home alone, establish another family member or trusted friend for your child to cal. Being able to contact a responsible adult not only ensures the child’s safety, but it can also make them feel more comfortable as they are home alone. To learn more about how we can protect your family, contact me personally at (585) 730-8324.